Berkeley-based Noll & Tam Architects designed California Trail’s striking hilltop visitor center integrated with the gondola’s top terminal. Doppelmayr crews building the top terminal. 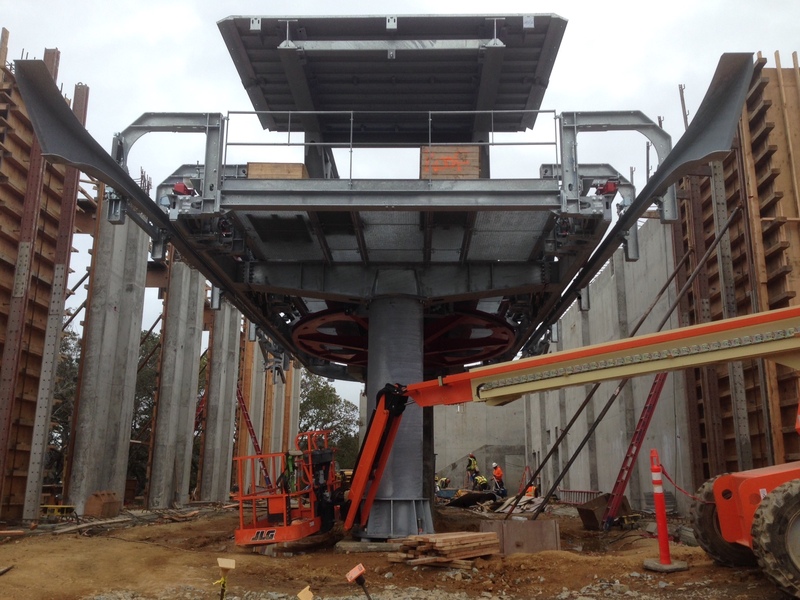 The detachable 8-passenger system is being built by Doppelmayr USA under general contractor Overra Construction. The gondola will feature 16 CWA Omega IV cabins and 7 towers that are up to 68 feet tall. Slope length of the lift is 1,780 feet with a vertical rise of 309 feet. The system will move up to 1,000 guests per hour/per direction initially with the option of adding 8 cabins to reach 1,500 per hour. Ride time will be a quick 3.95 minutes at an operating speed of 450 feet per minute. CWA Constructions designed safari-style cabins for California Trail, the first such cabins in the United States. Construction on the top terminal is largely complete with the visitor center going up around it. Work now shifts to the bottom terminal within the existing zoo. Cabins will arrive from Switzerland in April. 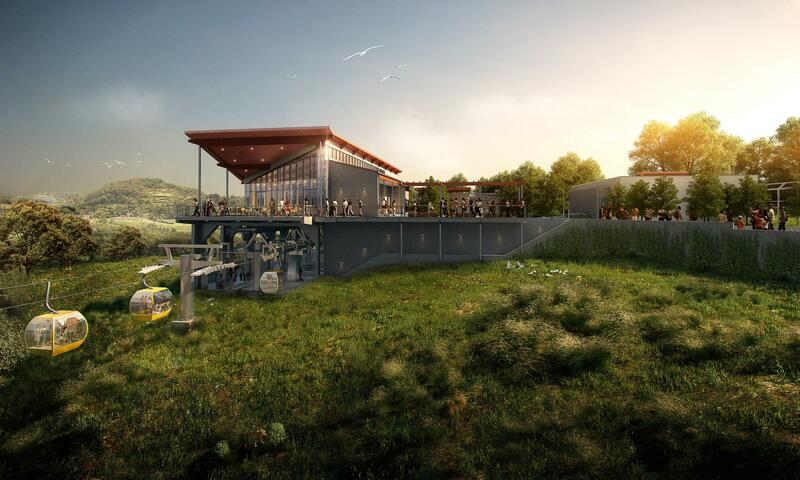 The California Trail gondola will open sometime this fall, with the rest of the $61.5 million expansion following in 2018. The Oakland Zoo is owned by the City of Oakland and operated by the non-profit East Bay Zoological Society. California Trail is being paid for with a mix of public and private funds. 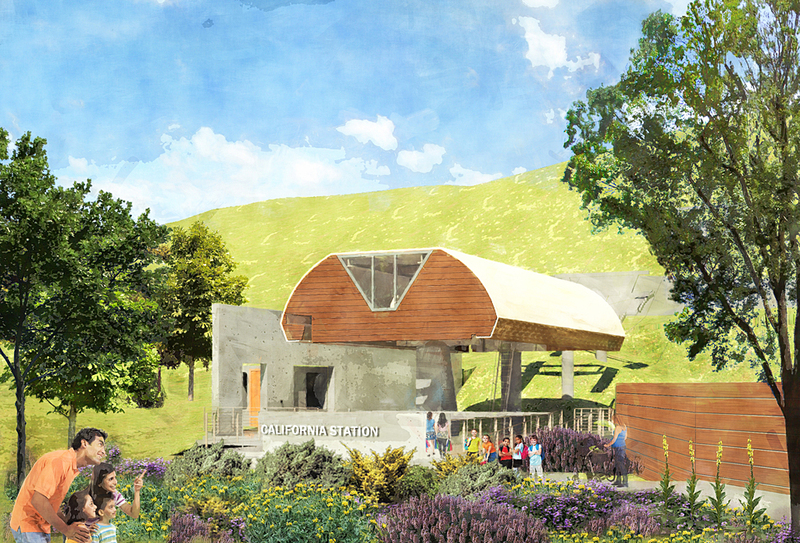 California Station will feature natural finishes appropriate for a zoo rather than off-the-shelf Doppelmayr skin. I like this project because it smartly applies ropeway technology to connect two points while creating an exceptional attraction all its own. For an organization whose primary mission is conservation, the gondola provides efficient and clean transportation powered by electricity. In fact, the terrain underneath the gondola line will be designated an Ecological Recovery Zone with no public access and cabins flying nearly silently overhead. 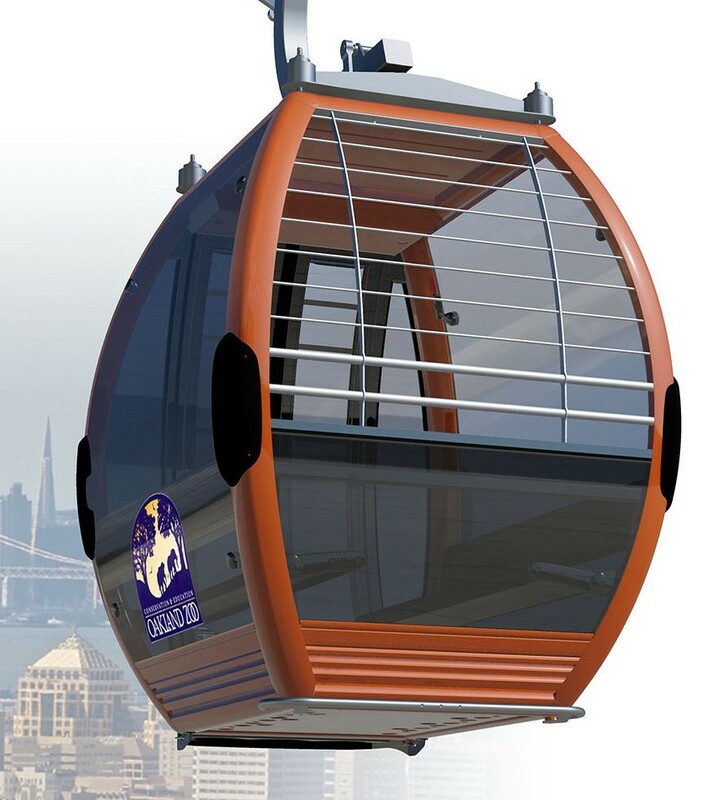 I hope California Trail is the first among a new generation of gondolas making connections in American cities. A nice place to step off a gondola with panoramic views of the San Francisco Bay region. Thanks for all the awesome content Peter. Any idea how much the Oakland gondola project cost? What is the cost of the Gondola ride and the hours of Operation? It’s free with zoo admission and follows the same hours. What is the charge to ride the gondolas? It’s free with zoo admission.